Rooms: 2 bedrooms located at opposite ends of the apartment. Both next to balconies with good quality of natural light. Good choice if you want some privacy from your travel companion and your own little space. Beds were a little uncomfortable as both beds were two single beds combined into queen sized beds, but that was a small inconvenience for such a spacious and charming abode. Facilities: The bathroom was a little tired and the hooks for hanging clothes and towels were very high, which can be an inconvenience if you are short. Dining: There is a kitchen with a stove. A few restaurants within walking distance, but most of the better dining places are quite a distance away. Location: Very quiet and peaceful, but a little far from the main attractions. So you’ll have to walk for at least 30-minutes before you get to the city centre, or you can the public bus. Service: The owner, who also lives in the property when she is in town, was away on business. Her father Renzo was very helpful. Came to pick us up from the train station. Things to do while here: Visit theArena, one of Italy’s oldest Roman amphitheaters, the balcony where the real-life Juliette supposedly waited for her Romeo, the Gothic style Santa Anastasia church, Castelvecchio castle and museum, and Piazza Erbe. 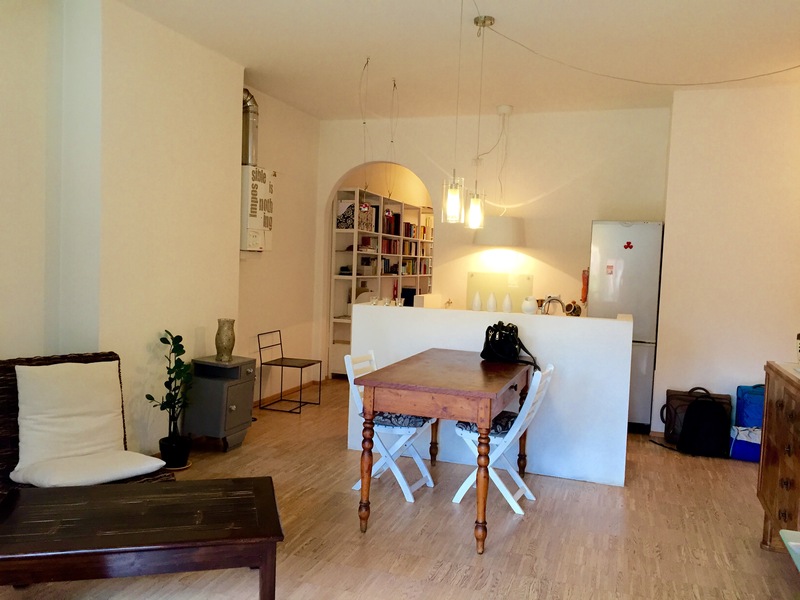 This entry was posted in Airbnb, Europe, Italy, Stay, Verona. Bookmark the permalink.